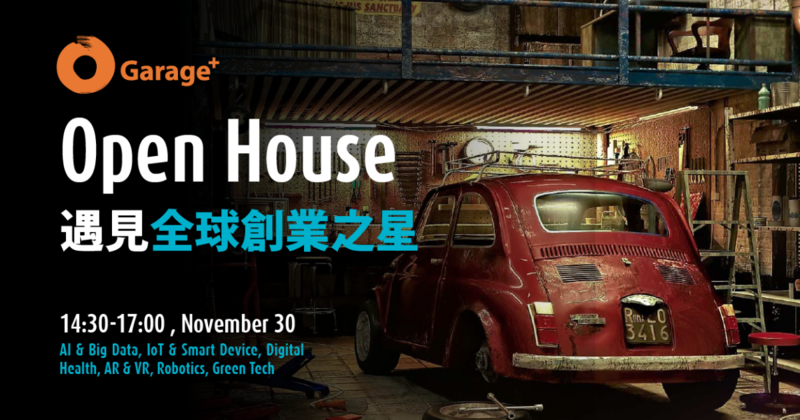 Garage+ will hold the annual Open House Exhibition on November 30th! This year, we invite 28 thriving startups from 8 countries to showcase their products and technologies, including 19 international startups out of the 206 Startup Global Program(SGP) applications from 42 countries, and 9 selected Taiwanese startups in the fields of AI & Big Data, IoT & Smart Devices, Digital Health, AR & VR, Mobility, Green Tech, and etc. Since 2015, SGP has attracted approximately 1,000 startups and selected 108 to discover business opportunities in Taiwan. One-third of them have established collaborations with Taiwan’s leading corporations, successfully received investments or set up Taiwan branch through Epoch Foundation’s solid connections. We welcome business partners, investors, and entrepreneurs to create potential business opportunities!